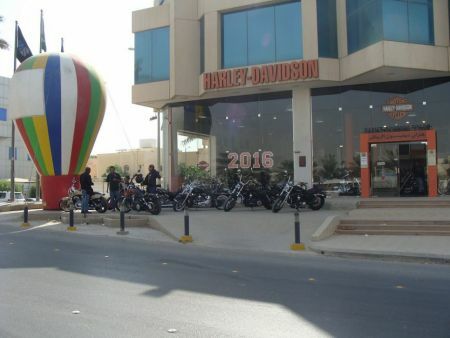 The H-D Riyadh Open House event was held on Saturday October 31st from 9:30 AM – 9:00 PM. The event was a success where H.O.G.® members were eager to meet again and catch up. Kids also had a lot of fun thanks to the entertainment that were help throughout the day such as face painting, balloon shaping and games. The 200 attendees were able to discover the new MY16 motorcycle line up in a warm atmosphere, where bites and refreshments was served and enjoyed.